This post hints at congruences between electron excitation bump-ups and multidimensional travel. My comments below have to do with the short reading list in magenta; reading the list is essential to understanding my comments. Link: “How Semiconductors Work: Diodes and Transistors,” by Marshall Brain, 2001, http://electronics.howstuffworks.com/diode2.htm ..
Link: “Electron Excitation and Holes,” http://solarwiki.ucdavis.edu/The_Science_of_Solar/1._Basics/C._Semiconductors_and_Solar_Interactions/I._Basic_Properties_of_Semiconductors/1._Electron_Excitation_and_Holes .. This article goes on about how when an electron jumps to a higher energy stratum, a hole is left in the lower energy stratum, allowing for energy conduction [and hence, information transmission] in a semiconductor. “Interactive Tutorials: Electron Excitation and Emission,” http://micro.magnet.fsu.edu/primer/java/fluorescence/exciteemit/index.html … See the top of this page for a very cool little Wavelength (Energy) – Pulse tool. The higher frequency wavelengths of light coming to Earth, and into our bodies, since the December 2013 Shift are elevating the electrons in our bodies’ batteries (or you might say, our bodies’ diodes), the mitochondria, to higher energy levels. The new, higher frequency, smaller wavelength incoming solar energy is exciting the electrons in the atoms of our bodies, and bumping them up to higher energy levels. So with each bump-up of our body atoms to a new energy stratum, our consciousness moves from awareness of our physical body (third dimension), thence to awareness of our emotional body (fourth or astral plane) and thence to awareness of light body (the fifth dimension). Awareness can shilly-shally back and forth as our atomic ‘batteries’ run down. What can restore these batteries? Sunlight (absorption of photons, also known as ‘vitality globules’ (1), and rest … during which the mitochondrial ATP-ADP energy-producing cycle (see chart below) can recharge the cells. Also, diet that doesn’t interfere with the energy bump-up process. 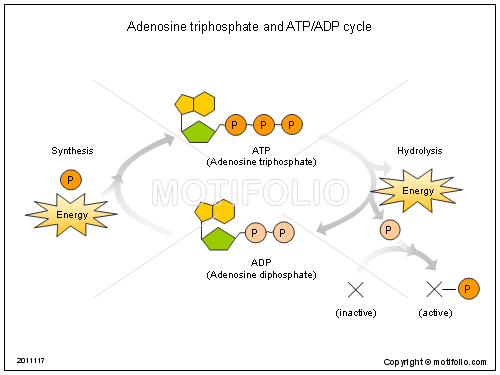 Chart: Adenosine Triphosphate and ATP/ADP Cycle: http://site.motifolio.com/images/Adenosine-triphosphate-and-ATP-ADP-cycle-1021117.png ..
Link: “Congruence: Silicon Valley 1 … Silicon Valley Technology and Our Body Chemistry,” by Alice B. Clagett, published on 1 May 2013 … https://wp.me/p2Rkym-6xa ..
Link: “Congruence: Silicon Valley 2 … Electron Excitation and the Experience of Multidimensionality,” by Alice B. Clagett, published 1 May 2013 … https://wp.me/p2Rkym-6×8 ..
Link: “Congruence: Silicon Valley 3 … Ramp-Up of Human Body Energy as ‘Semiconductor Chip’ in Global ‘Computer'” by Alice B. Clagett, published 1 May 2013 … https://wp.me/p2Rkym-6×6 .. This entry was posted in Astrogeophysics - EMF - hologram, Congruence, Dimensions - multidimensionality - veils and tagged astrogeophysics, ATP-ADP, Congruence, dimensions, electron excitation, JScambio, multidimensionality, photons, semiconductors, silicon chips, sunlight as food, transistors, vitality globules on 1 May 2013 by Alice B. Clagett.